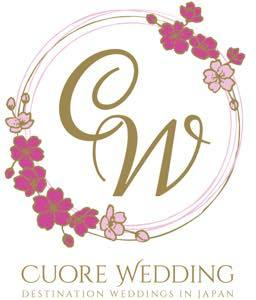 If you are considering a destination wedding in Japan, Cuore Wedding team will help you realize your dreams! Don’t fret if your first concern is the Japanese culture and language is so diverse from other countries — Cuore Wedding will be your concierge! Religious rite in Japan is open to all believers. Japanese shrines with the Shinto rite and temples with the Buddhist rite are “open” which allows for all to create a beautiful and meaningful religious ceremony. 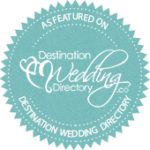 Experience a modern or traditional Japanese ceremony, and your personal wedding planner will walk you through the significance of each custom. Have you ever imagined wearing a traditional formal kimono? In Japan it is a common that the bride (and sometimes the groom as well) changes from traditional to western attire just after the ceremony or even during the wedding reception. A hallmark of Japanese culture, there are Kimonos of all styles to choose from. We work with our clients to help select the perfect one and facilitate making sure it fits just right! There is nothing like experiencing the age-old custom of the Kimono! Many of our clients wear their western-style wedding dress to the reception so they can celebrate both customs and of course get a magnificent double photoshoot! We offer private transportation services to our clients and also provide all necessary information to utilize the fantastic public transport system of Japan. We make sure that getting to and from the airport, hotel, and venue is seamless and easy. The Hotels we work with are very well experienced with guests from around the world and also offer top-class Concierge Services. transportation – easy access, directly from your room to the venue! Restaurant: Choose your favorite cuisine, from traditional Japanese to Western flavor. Some restaurants do not have a set time limit so you can extend your celebration. Residence: An exclusive location to embellish with your personal style, residences usually only host one event per day. You can either have your ceremony inside the property or at another location. Please don’t hesitate to ask us about anything!